Note: This post talks about campaign tracking in Google Analytics and Facebook through automated monitoring of data anomalies. To learn more about detailed Google Analytics campaign tracking during set up i.e., using UTM Parameters you can reference these posts on Setting up URL Parameters for Facebook Ads and tracking Facebook Ads in Google Analytics. Why is it essential to set automated Facebook and Google Analytics campaign tracking to identify performance anomalies? Similarly, like driving cross country, you know the destination city, but you cannot just get there in a straight line without any breaks. On the way, you will have to circumvent construction, adjust the route for reasons like traffic (and annoying friends) and schedule in pit stops to refuel yourself and your car. The same applies to digital media campaigns. You cannot just set a budget, define the key conversion, establish flight dates and walk away. Well, you could, but the results won’t be great, to say the least. Instead, as digital marketers, we intend to set up campaigns for [hopefully] success, but at the start, we define campaign strategy through hypothesis. To see if our hypothesis holds up we need to monitor campaign performance adjusting settings to ensure that we reach the desired outcome. However, given the vast amount of data I often manage on a day to day basis I like to set automated notifications to catch anomalies quickly and make campaign adjustments. I do this by setting automated notifications for Facebook and Google Analytics campaign tracking. Let’s take a look at how we can accomplish campaign tracking in Google Analytics and Facebook in this Google Analytics campaign tracking tutorial. The primary value for tracking all of your events as goals in Google Analytics is that you can set up notifications for data anomalies. Notifications are super useful for catching negative trends early on. However, you are not limited to Google Analytics only you can also track anomalies in the Ad Platform directly. In this post, we will take a look at Facebook specifically. So what KPIs should be monitored? There are always multiple variables to consider for campaign tracking in Google Analytics and Facebook. In particular KPIs, I like to monitor can be bucketed into two categories, ancillary and primary metrics. Steady cost implies the campaign is running consistently and according to budget. An increase in Frequency can be an indicator of overexposure whereas a drop in CTR can be related to ad fatigue. A reduction in engaged users could be a sign of driving non-relevant users to the landing page. Primary metrics are pretty straightforward. Are we driving Goal Volume and are users continuing to convert at an efficient and effective rate or do we need to analyze users on site behavior funnels. Now that we have taken a look at KPIs to track let’s dive into how to monitor campaign tracking in Google Analytics effectively. 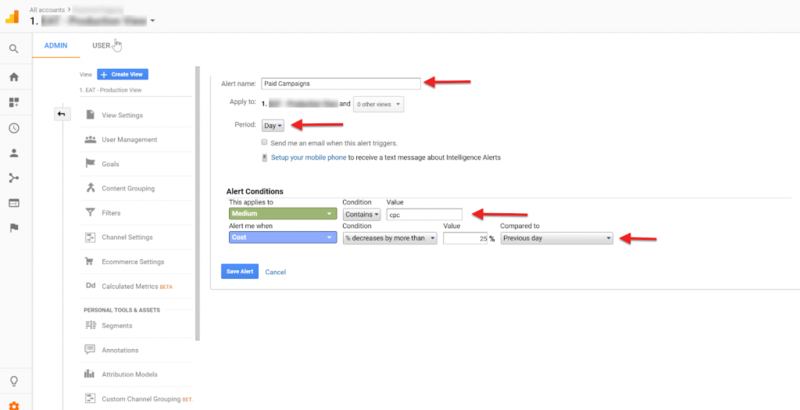 Google Analytics allows you to set up custom alerts to get notified of data anomalies. Define the metric change you want to monitor. In this case, I want to know if the cost dropped by more than 25% compared to the previous day. You will now be notified when there are data anomalies automating campaign tracking in Google Analytics. 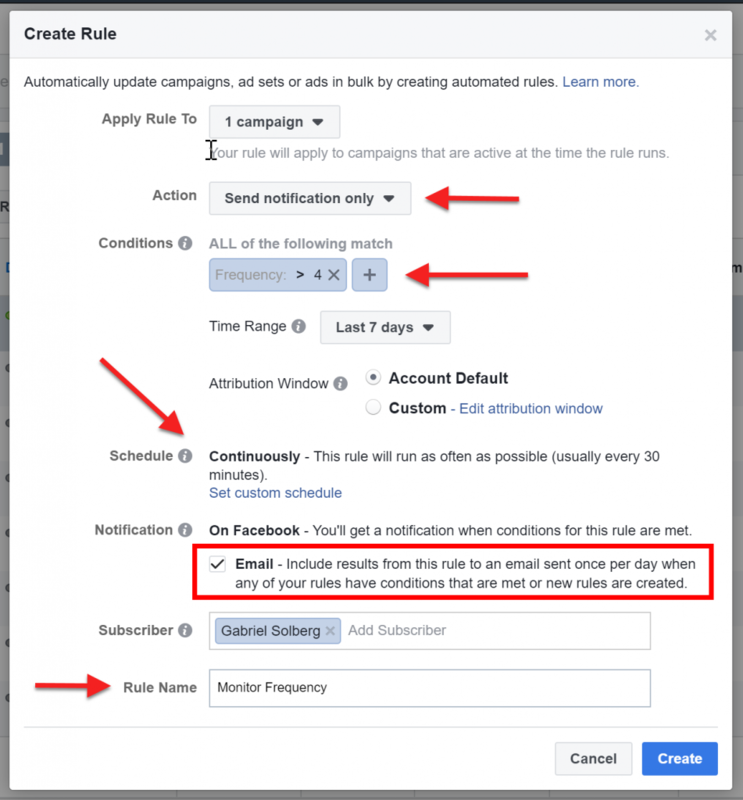 Next, to track anomalies in Facebook we will leverage automated rules. Keep in mind that setting conditions this way is not ideal since you cannot track changes compared to a specified period. However, for CTR or CPC you will need to define your minimum or maximum threshold and then set your condition against these. 3. Set the time range. In this case, I want to monitor frequency over a seven day period. Note: Facebook has recently added new actions, conditions and advanced scheduling. You can access the full list of features in the Facebook Business help section. 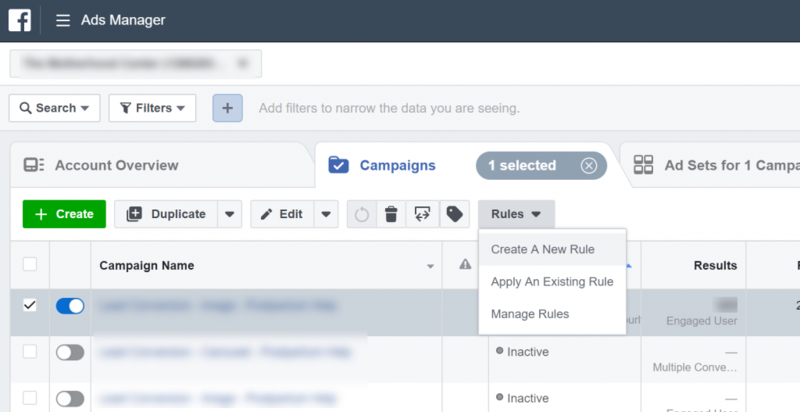 As can be seen, setting up automated custom alerts for campaign tracking in Google Analytics and Facebook is a great way to identify changes when managing many campaigns quickly. What have you done to track and monitor campaign performance?